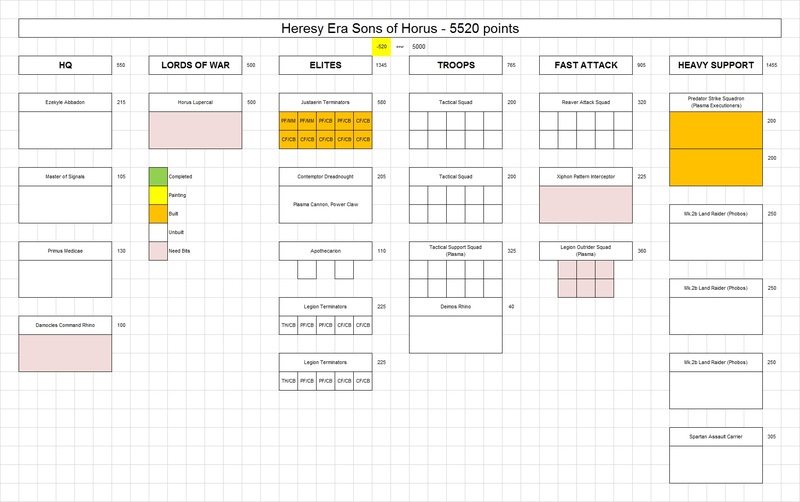 Mordian 7th Regiment: Heresy Era Sons of Horus - Justaerin Terminators built! Heresy Era Sons of Horus - Justaerin Terminators built! 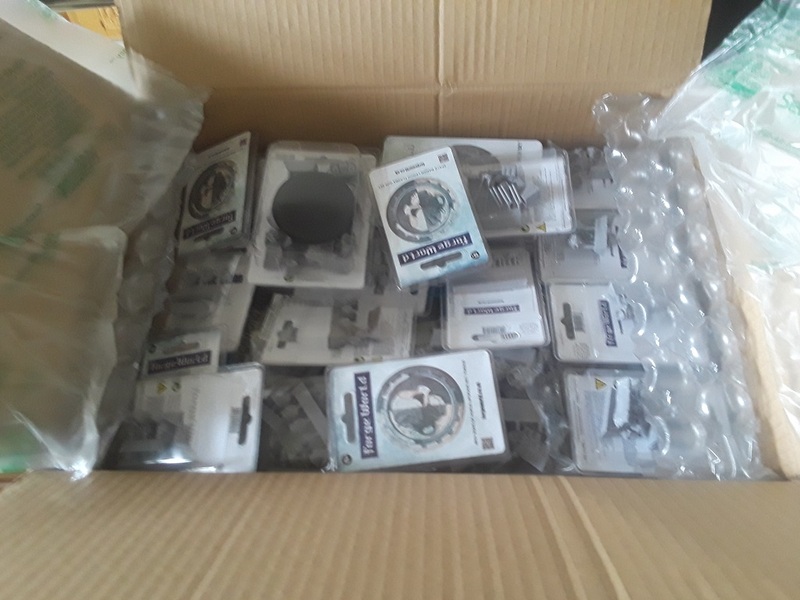 The first Box o' Joy arrived from Forgeworld yesterday afternoon, and was waiting for me when I got home - It's Christmas in September! This order included a whole mess of infantry upgrade kits, a unit of Reavers, a unit of Justaerin and a Contemptor dreadnought. 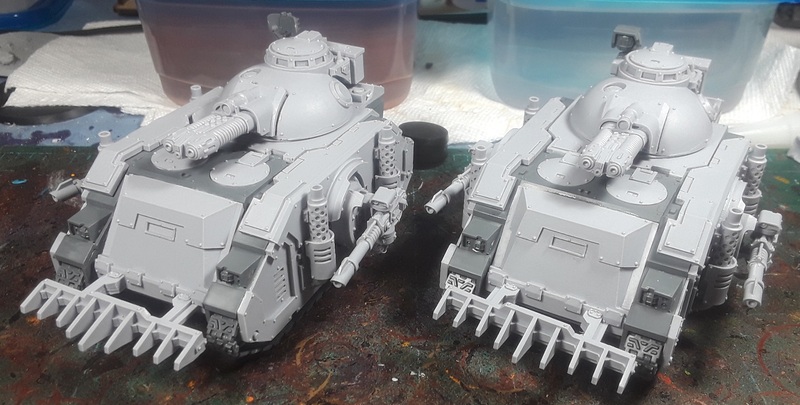 All the big tanks will be arriving in a second order that will be arriving in a few weeks (as apparently several of the models on that order are on a 10-day delay). 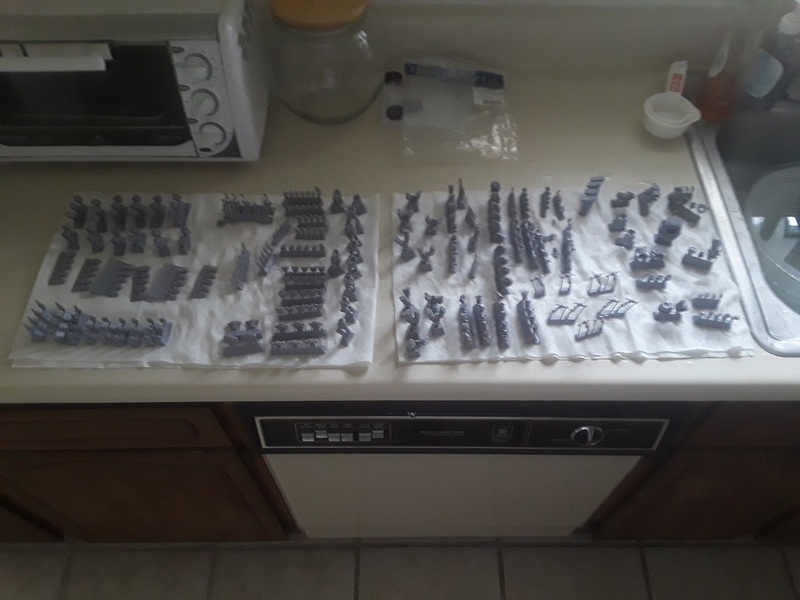 After work I cracked open all the blisters and got everything washed, soaked and scrubbed and laid out to dry. A fiddly business, but important to do when working with resin models! Later in the evening once the models had sufficiently dried off, I couldn't wait to get cracking on some infantry and decided to start at the top and build the Justaerin Terminators! Kitted this unit out for vehicular destruction with a pair of Multimeltas and a generous mix of power- and chain-fists. This does mean they miss out on the Merciless Fighters rule (as that only applies if the models haven't already fought at initiative step 1), but I plan on doing a couple squads of 'vanilla' cataphractii with lightning claws to take advantage! While I was about it I finished the builds on the Plasmacutioners, adding the dozer blades, headlamps and a radar dish and searchlight to give 'em a little more visual interest! Lastly I cracked open the army list again and did some wishlisting and updating of point values to see where things stand - Naturally it bloomed to a 5000 point force almost immediately! At this point the meat of the army has either arrived or has been ordered and on the way, with one more order to go including Horus and a Damocles on the HQ side, and a couple more fast attack choices with a Xiphon for some air cover and a unit of Outriders mostly because I've never built or painted them before. As good a reason as any, right? Gotta say I'm really excited for this project, the green/black scheme of the Sons of Horus are going to be a welcome change of pace from all the red and gold of late! Having visiting the Forge world store at Warhammer World I can only imagine how much that box of goodies cost! 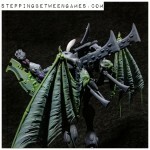 @Zzzzzz: Gotta say, I am really digging the Reaver models now that I have 'em in hand, and will definitely be ordering another 10 at some point in the future. Pics to come! I am following this project with keen interest.